AnnArbor.com: Roughly 3,000 people Thursday morning received tickets to President Barack Obama’s upcoming speech — many camping outside overnight to secure their place in line — and still hundreds of hopefuls were turned away. It’s clear: Obama mania has seeped into the University of Michigan campus as the school prepares for his speech on college affordability Friday at 9:35 a.m. at the Al Glick Field House…..
AnnArbor.com: They brought blankets and sleeping bags, sent friends on doughnut runs, did homework and broke out into an impromptu dance party next to the Cube as at least 1,000 people converged into a line at the University of Michigan overnight to get tickets to see President Barack Obama. The crowd snaked from the Michigan Union ticket office through Regents Plaza, building from about 80 at 10 p.m. Wednesday to much larger early Thursday, prompting one person to say “people in the back of the line have no idea how many people are here because it’s so long.”…. Between 2,000 and 3,000 people were in line by 9 a.m. At that time, the line reached the intersection of South University and South State and stretched toward the Law Quad. ….Update: As of about 1 p.m. all tickets to Obama’s speech had been distributed, according to the Michigan Union Ticket Office. A group of ten students rest their backs against each other to stay warm and get some sleep while waiting in line by the Michigan Union. They arrived around 11:30 pm Wednesday night. U-M Taubman College of Architecture faculty member Teman Evans holds up his ticket to see President Barack Obama speak while people in line behind him cheer. Evans was the first person in line at 7:30 pm Thursday night. See that line of young folks, that’s what the Republicans are afraid of. That’s why they cook up this voter ID crap. Thank you Chipsticks. I am having a great day. I am going out tonight plus I celebrate my birthday all year, so I’m good. Love ya, Chica!! Yes, I do!! Thanks for the link to that vid clip, CTGirl! I could have gone on listening. Good ol C-Span..and PObama was excellent! loved it! he’s got them on the ropes on this issue, and they don’t have another issue. oh, except the moon base. pbo hasn’t built a moon base. such a shame. USA – @MittRomney is ANTI-DREAM ACT. #LandslideOBAMA2012 'nuf said. DOES NEWT EVEN REALIZE WHAT’S HAPPENING TO HIM? Let’s quickly review how we arrived at this moment. In early December, Gingrich stormed to giant leads in national and key early state polling and immediately declared that “it’s very hard not to look at the recent polls and think that the odds are very high I’m going to be the nominee.” Then he attempted to segue into the role of above-the-fray front-runner, foreswearing negative campaigning (and apologizing when he slipped up), letting charges from Mitt Romney and his rivals go unanswered, and turning in a dull, unfocused performance in the final pre-Iowa debate. While he was doing this, the Republican Party’s opinion-shaping class woke up. Most of them remembered — or even had firsthand experience with — the erratic mismanagement, endless ethics controversies, needlessly inflammatory rhetorical provocations, and general poisoning of the GOP brand that accompanied Gingrich’s run as speaker of the House in the 1990s. One by one, they used their platforms to tear into him. At the same time, Romney’s friends at the Restore Our Future super PAC pumped millions into a vicious negative ad campaign aimed at undermining Gingrich in Iowa. The effect of all of this was to kill the Gingrich surge. His numbers plummeted in Iowa and elsewhere and by early January he looked done for. At first, he seemed to learn from this. Wowwww, stunning. This, and that little girl, made my day. Thank you, my queen! Did you mention cold and unhappy? Or was it ungrateful? Or was that the First Lady? That too UT – no wonder young people have no time for him, at all. He just doesn’t understand regular people. They are all so disappointed!!! Yes he really is disappointed. He’s like Spock you know. Just ask Maureen Dowd. He’s prickly. That’s the new meme that McCain and Brewer are pushing. 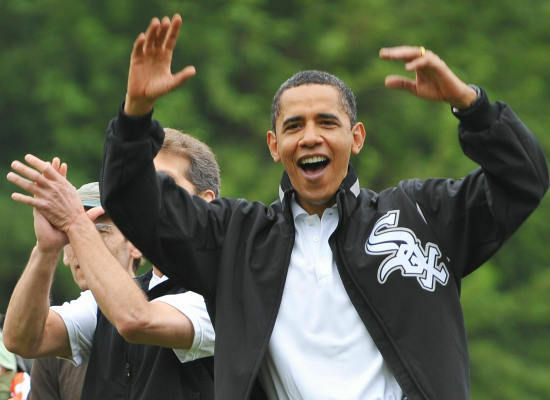 Imagine irascible McCain and finger-wagging Brewer trying to push the Obama irritability meme. I loveeeeeeeeeeee my TOD fam…..hahahaha,,,Talkkkk it!! !…Talkkkkkkk it! !…Talkkkkkkk IT….. Yes he gets that way when confronted with wanton prejudice and stupidity. Go figure. It’s gotta be his deodorant, huh? OMG! Crying here. Wow. Just wow. All those precious students; I wish every one of them could have had a ticket! This is the coolest thing, especially to me being a lover of education, a past student myself, a daughter who is a Ph.D. candidate at the University of Texas, married to a therapist who was a part-time professor also for 20 years and myself who worked for our University for 20 years! I just love them -each and every one of them in that line! Please dear Mr. President, let’s do all we can to help them secure their education – they are our future! Thanks TrumpDog though my syntax was horrible and my sentences sort of rumpled (if that is an accurate description of a paragraph). And I have a degree in English (Lit. though not necessarily grammar). But I cannot stop looking at those lines of students and my emotions are running high …. towards HOPE! For a LANDSLIDE! Your post was just fine and I share your feelings. I wish I could hug each and every one of them. I’m so serious. Yes, daisydem and TrumpDog, these precious gems of beautiful young people are the precious gold of our society. We do owe them a precious opportunity to get the very best in education and from the best of our colleges and universities. We do that with our wonderful President, Barack Obama and VP, Joe Biden. OH MY GOD!!!! Our Beloved President is just plain awesome. He is so charismatic! If this had been a Mitt Romney event, the sleeping on the floor would have happened during the speech. Romney is so boring he puts insomniacs to sleep. Let him try to complete with our great president. Just let him try. ”If this Had been…Romney….the sleeping on the floor would have happened at during the speech…” LOL, isn’t that the truth?! Yay, Go Blue! I live in Ann Arbor and city is truly buzzing. Lots of excitement here. That’s wonderful to hear. They do love PBO in Michigan. I remember when he gave the commencement address to the class of 2010 and they went nuts. They clapped, they cheered, they laughed at his jokes. It was a wonderful sight to behold. NBC’s Michael Isikoff reports that Mitt Romney will revise his financial disclosure forms to include his offshore investments and accounts. Robney (Jovie, I am borrowing) has a problem! In feel for him NOT! Why isn’t he being charged a fine (or something) for lying on a federal form? Happy Birthday, FiredUpInCA. I saw it on another thread that was late, but I posted anyway, and now I am just getting around to reading this one, so I will make sure I say it again. BEEN THERE IN WAITING…AND HE IS WELL WORTH IT! I WILL BE DOING IT AGAIN WHEN HE COMES TO INDIANA! I LOVE MY PRESIDENT! There’s lots of jabbering going on today about conservative opinion-leaders going after Newt Gingrich with hammers and tongs. And I must say, it’s worth jabbering about, if only because of the spectacle of these folks trying to put the genie back in the bottle and convince The Troops to re-adopt conventional views about candidate electability (viz. a National Review editorial pointing to Newt’s perpetual unpopularity). But the most vicious attack on Gingrich was from Washington Examiner columnist Philip Klein, who seriously (at least I think he’s serious) makes the case that Newt’s political tactics are right out of the Gospel According To Saul Alinsky. It’s almost enough to make me feel sorry for the wiggy former Speaker, even though I suggested earlier today that he privately imagines himself some sort of inter-galactic Warrior-King. As a token of limited solidarity with my fellow sort-of-Georgian, I’ll mention something I omitted from my self-introduction post: I was a teenage school janitor. The job paid a booming $1.30 an hour, but it did help me finance my secular-socialist college education, which ultimately enabled me to become a member of the Liberal Media. Funny how it all works out. Ok, I’m liking Ed Kilgore. I think he’ll do fine as Benen’s replacement. Oil and gas magnate T. Boone Pickens is celebrating Thursday after President Barack Obama used a major energy speech to tout the increased use of natural gas vehicles — a key part of the so-called Pickens Plan. It also turns out Pickens has visited the White House seven times since Obama took office, according to visitor logs. Obama didn’t mention Pickens or the Pickens Plan-inspired NAT GAS Act by name in his Las Vegas speech. But he touted the creation of a natural gas corridor from Long Beach, Calif., to Salt Lake City that allows vehicles to fuel up along the highway and encourages companies to transition to a clean-energy fleet to transport goods. Is there anyway they could change the venue so more of the students could see him/hear him? I remember when he first started campaigning for President in 2008 and he went to UT Austin. The event was supposed to be inside but so many students wanted to see and hear him, they moved it to outside. My daughter pushed her way forward as far as she could in the crowd to be as close as she could to the stage and see him and hear him. Send this link to everyone, guys. Twitter, Facebook, whatever. AAAAH…LINES AND LINES OF HOPEFULS…ALL FIRED UP…AND FOR GOOD REASON!!!!! I AM SO THRILLED THAT I HAVE LIVED TO WITNESS THE OBAMA PRESIDENCY!…BRINGS JOY TEARS TO MY EYES! Well, if that’s the case, here’s Exhibit A. This the sort of attack that’s probably too hot for the Romney campaign to be directly associated with on the airwaves, which may explain why it’s being pushed via mail, which is relatively under the radar. The mailer underscores the lengths the Romney campaign is now willing to go to in order to destroy Gingrich’s character, after aides had previously congratulated themselves for mostly sticking to the issues. It suggests the Romney camp knows how dangerous a Gingrich victory in Florida — where the two are deadlocked in polls — would be to Romney’s long term hopes. Me thinks, the Loan Programs will be canceled shortly. Albeit, the GOP should be careful because that includes oil loans. And this is why no one should take the polls seriously, especially this far out. Amazing; such a long line on such a cold day. Students camping out over night for tickets as they would for a rock concert or the latest techno toy from Apple. No one in the history of American politics has had this type of appeal. Woot!! Jailed ex-Congressman Duke Cunningham wants Newt Gingrich to know he’s got the Republican presidential candidate’s back…. AURORA — President Barack Obama touched down at Buckley Air Force Base today for the third time since September, but unlike past visits he won’t be leaving the premises during a pit stop that is expected to last less than two hours. Air Force One landed at 2:33 p.m. and taxied to the front of Hangar 909 where the President and small army of advisors, security and press deplaned. Denver Mayor Michael Hancock also greeted the president joined Secretary of the Air Force, Michael Donley, and the Secretary of the Navy, Ray Mabus, to welcome the president. Also present was Assistant Secretary of Defense for energy planning, Sharon Burke. Of course, this article is informative, but instead of getting a Republican response, they find a Libertarian OWS member to talk smack. Did the Mayor stick his finger in PBO’s face? I don’t think he has a book to sell. Did you read the pitiful response from one of the 10 OWS protesters? Thanks for that link, Jovie. They had an ignorant stupid occuppier there who they made sure got his ignorant stupid comments in the story. Sen. John McCain (R-Ariz.) sounded off Thursday on the testy exchange between President Barack Obama and Arizona Gov. Jan Brewer (R). Just after….McPow yelled ” Now get off my Lawn “! So, he’s confirmed that Jindal was told off by the President during the BP oil spill crisis… No-one ever confirmed it, but remember the picture of President Obama clearly telling off little Jindal on the tarmac, and the Secret Service hanging back, letting Jindal retain a little dignity? And then, during the tour, Jindal barely got a handshake from the President, and he sheepishly hung back from the crowd? McCain probably didn’t realize he was outing Jindal’s smackdown when he decided to go all in for defending those who would disrespect the President of the United States. Well, karma will find this Brewer disaster, too – it always does. All of my 6 children support PBO, all of them are under 35 and registered voters, three of them are in college. My youngest ( a daughter,age24) will graduate next year and she made a point to call me about the SOTU today, she said the end of the speech was inspirational. She heard a few minutes of Mitch Daniel’s speech and told her boyfriend to turn the tv off she couldn’t stand listening to it, it was so negative. I was done until I just read this. She lied? What else is new? Remember the “headless bodies” that were NON EXISTENT? ROMNEY OMITTED FUNDS HELD IN OFFSHORE TAX HAVENS FROM ETHICS FORMS From TP. NOT FIT MITT! Are they totally going to freak now? I think she’s done a fantastic job as SOS. Al Sharpton had a bit of her talk on, and she also said, as she roller her eyes…”I haven’t watched any of the debates.” I loved that.